Healthcare Simulation Books are a critical component of learning how to develop, expand, and utilize medical simulation methodologies and technologies in professional healthcare institutions to improve learning and patient safety performance outcomes. 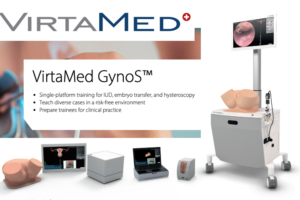 Everything from audiovisual system design, to manikin hardware, debriefing, patient simulators, nursing simulation, surgical simulation, administrative manuals, Sim Tech guides and more! As educational degree pathways are extremely rare and healthcare simulation conferences take place only annually, healthcare professionals and institutions seeking to develop or expand their simulation expertise should invest heavily into the latest nursing simulation books, surgical simulation books, moulage books and more! As Amazon prices change frequently we do not list them here but most books are under $100. Have another book to share? Email us and we will add it to the list. The Comprehensive Textbook of Healthcare Simulation is a cohesive, single-source reference on all aspects of simulation in medical education and evaluation. It covers the use of simulation in training in each specialty and is aimed at healthcare educators and administrators who are developing their own simulation centers or programs and professional organizations looking to incorporate the technology into their credentialing process. For those already involved in simulation, the book will serve as a state-of-the-art reference that helps them increase their knowledge base, expand their simulation program’s capabilities, and attract new, additional target learners. Get from Amazon. Mastering Simulation: A Handbook for Success is a handbook for individuals working in or preparing to work in simulation and for academic and service organizations that are using simulation or are planning to use simulation. It provides the knowledge needed to become a simulation professional and information on how to best use that knowledge to effectively use simulation in their organizations. Evidence-based and pragmatic, this book raises awareness of the knowledge and expertise required to utilize simulation strategies. Get from Amazon. Defining Excellence in Simulation Programs is an official publication of the Society for Simulation in Healthcare (SSH), created to support the Society’s mission to encourage excellence in healthcare education, practice and research through the use of simulation. With nearly 140 expert clinicians and educators contributing, this authoritative guide offers clear-cut definitions, recommendations and best practices for all types of simulation training programs. For those looking to create or manage successful, cost-effective, researched-based simulation programs. Get from Amazon. Simulation in Clinical Education is a new addition to the popular Essentials series provides a broad, general introduction to the topic of simulation within clinical education. An ideal tool for both teaching and learning, Essential Simulation in Clinical Education provides a theoretical and practical introduction to the subject of simulation, whilst also offering strategies for successful use of simulators within general clinical education and demonstrating best practice throughout. Get from Amazon. Healthcare Simulation Education: Evidence, Theory and Practice is written by a leading team from the Australian Society for Simulation in Healthcare (ASSH) and Simulation Australasia, and is a new resource for a rapidly expanding professional healthcare simulation community. Designed as a core reference for educators who use simulation as an educational method, it outlines theory, evidence and research relevant to healthcare simulation. Containing examples of innovations from around the world, the book offers opportunities to make clear connections between the underlying rationale for the use of simulation, and what this looks like in practice. Get from Amazon. Manual of Simulation in Healthcare Second Edition includes a greater emphasis on patient safety, interprofessional education, and a more descriptive illustration of simulation in the areas of education, acute care medicine, and aviation. Divided into three sections, it ranges from the logistics of establishing a simulation and skills centre and the inherent problems with funding, equipment, staffing, and course development to the considerations for healthcare-centred simulation within medical education and the steps required to develop courses that comply with 'best practice' in medical education. Get from Amazon. Simulation Champions: Fostering Courage, Caring, and Connection draws on the personal experiences of experts and pioneers in the field, and offers the practical information needed to deal with the real challenges of creating or improving a simulation program, along with detailed information on the change management and leadership skills needed for success. Whether you are building a nursing simulation program from the ground up or are seeking to improve an existing program, you will find the information and tools you need to develop strategies for adoption, maintenance, and evaluation, including coverage of important considerations, such as physical space, budget, curriculum and human resources. The book features extensive coverage of leadership and management concepts critical to implementing a simulation program prepares you for potential challenges and pitfalls, including change management strategies and ready-to-use online templates to help you implement key concepts and skills. Get from Amazon. Healthcare Simulation Program Builder helps healthcare professionals who want to use simulation to improve orientation and preceptorships, build nurse competency, enhance nurse residency programs, and strengthen interprofessional communication across the entire healthcare team. This first-of-its-kind book assists those who want to begin using simulation for training, but don't know where to start. It discusses the theory around simulation, when to use different modalities, how to get buy-in, and how to measure results. It is the perfect curriculum builder and contains all the tools and templates you need to get started so you don't have to create them yourself! Get from Amazon. Developing Successful Health Care Education Simulation Center: Consortium Model meets a growing need for guidelines on planning, organizing, and implementing a health care education simulation center, using the collaborative and cost effective consortium model. The book takes the reader step-by-step through the process of building a coalition of key stakeholders, gathering and analyzing data, assigning leadership roles within the consortium, developing a strategic plan, and implementing and sustaining it. Case studies in each chapter provide real-life insight from a successful existing consortium by examining how it operates and highlighting successes, mistakes, and lessons learned. Get from Amazon. Clinical Simulation: Operations, Engineering and Management is a practical guide and reference to the latest technology, operations and opportunities presented by clinical simulation. It shows how to develop and make efficient use of resources, and provides hands-on information to those tasked with setting up and delivering simulation facilities for medical, clinical and related purposes, and the development and delivery of simulation-based education programs . Get from Amazon. Pocket Book for Simulation Debriefing in Healthcare is a concise manual on debriefing techniques in a clinical educational context. 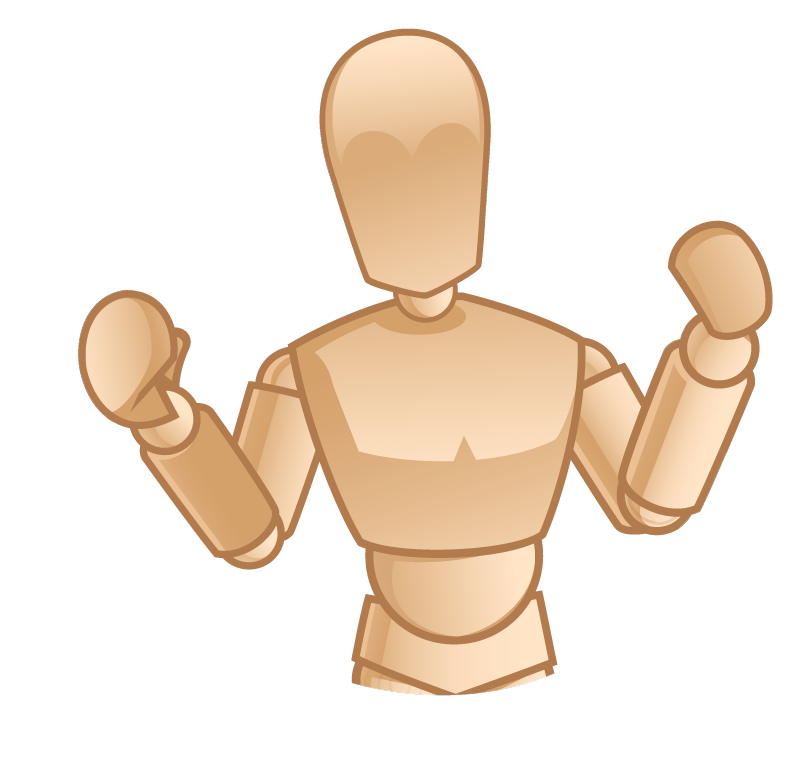 It presents the most popular debriefing techniques and, hence, can be used as a reference manual by educators to help them achieve their intended debriefing objectives. The overarching objective of debriefing is to promote reflection and improve patient safety awareness at an individual and a team level. This book provides clear explanations of what constitutes a valuable and effective debriefing, and presents the various approaches that can be used and how debriefing differs from feedback. It includes key recommendations on aspects that directly or indirectly impact debriefing with different populations of learners such as students or qualified healthcare professionals of various levels of seniority. This book can also be used as a survival guide for both simulation educators and clinicians during debriefings. Get on Amazon. Developing Healthcare Skills through Simulation provides clear, ready-made activities and guidance from leading practitioners in a range of fields, which healthcare and practice educators and mentors can use to enhance their teaching of all the essential and commonly-taught clinical and management skills and knowledge. Dedicated chapters, which all follow a defined step-by-step format, provide simulation scenarios, alongside facilitator guidance, which will help develop confidence in the teaching of key skills. These scenarios and accompanying guidance can be used as a framework for teaching, promoting a greater understanding of the skill being taught, and providing a risk-free opportunity for the student to practice their clinical and managerial skills and judgment. Get on Amazon. 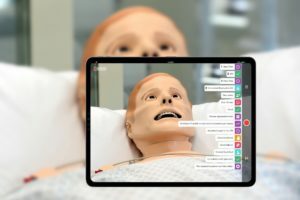 Simulation Scenarios for Nursing Education is a unique and innovative resource for incorporating simulation scenarios into both an LPN/LVN and RN nursing curriculum. This book contains ten pre-written scenarios for use with any simulation device in any simulation lab. The student work text provides all necessary information needed by students for simulation preparation and completion, as well as a case study to encourage critical thinking. Each dynamic scenario provides goals/objectives, patient data, instruction on simulation preparation, a list of patient medications and the simulation scenario with student simulation roles and a grading rubric. Get on Amazon. Simulation Scenarios for Nursing Educators, Third Edition: Making it Real provides detailed, step-by-step guidance on all aspects of clinical simulation. Appropriate for all levels of nursing students, from pre-licensure to doctoral level, the book contains the authors’ own advice and experiences working in simulation around the globe. For the third edition, 20 new scenarios have been added, and all scenarios have been updated to adhere to best-practice simulation standards for design, facilitator and participant criteria, interprofessional criteria, and debriefing processes. Scenarios are presented in a structured format that includes objectives, pre-scenario checklists, implementation plans, evaluation criteria, debriefing guidelines, and recommendations for further use. A template for creating scenarios spans the text and includes student preparation materials, forms to enhance the realness of the scenario, and checklists for practice assessment and evaluation. Get on Amazon. How to Teach Using Simulation in Healthcare provides an ideal introduction and easy-to-use guide to simulation in medical education. Written by a team of experienced medical educators, this practical text – packed full of case examples and tips – is underpinned by the theory of simulation in education, and explores how to integrate simulation into teaching. Key topics include: Use of low, medium and high fidelity equipment; Issues of simulation mapping and scenario design; Role of human factors; Formative and summative assessment; New social media and technologies; Detailed explorations of some examples of simulation. How to Teach Using Simulation in Healthcare is invaluable reading for all healthcare professionals interested and involved in the origins, theoretical underpinnings, and design implications of the use of simulation in medical education. Get on Amazon. I Had No Idea: Clinical Simulations for Teacher Development provides teachers with opportunities to enact professional knowledge, skills, and dispositions. Building on medical education's long-standing use of standardized patients, this book infuses standardized individuals and clinical simulations into teacher education. As participating teachers engage with standardized parents, students, paraprofessionals, and community members, they encounter a variety of situations common to K-12 teaching. This book provides teacher educators and professional development facilitators with the background knowledge, training procedures for standardized individuals, logistical steps, and all documents necessary for successful implementation of twelve different clinical simulations. This book is constructed for teacher educators and school district personnel who intend to facilitate clinical simulations for teachers. Get on Amazon. Clinical Simulations in Nursing Education: Advanced Concepts, Trends, and Opportunities can provide health care educators one approach to create student-centered, experiential environments that engage and prepare the learner for real-world practice. Clinical Simulations in Nursing Education: Advanced Concepts, Trends, and Opportunities provides chapters authored by expert simulation researchers, educators, and users to shed light on important advancements and emerging topics in clinical simulation. Get from Amazon. Clinical Simulations for Nursing Education: Instructor Volume helps your students develop and practice the critical assessment, clinical reasoning, and nursing care skills they need to deliver safe and effective patient care in a controlled, risk-free environment. 51 structured simulation scenarios—34 in print and 17 on DavisPlus, the F.A. Davis password-protected site—cover the entire nursing curriculum. Each simulation scenario focuses on a defined clinical domain, critical knowledge and skills, levels of competency, evidenced-based practice guidelines, National Patient Safety Goals, and research-based design characteristics. Get from Amazon. Clinical Simulations for Nursing Education: Participant Volume 2nd Edition provides 51 structured case studies simulate the wide range of patient care challenges you’ll encounter in practice. These scenarios help you develop the critical assessment, clinical reasoning, and nursing skills you need to deliver safe and competent care to your patients—in a controlled, risk-free environment. Each realistic, patient-care simulation focuses on a defined clinical domain, critical knowledge and skills, levels of competency, evidenced-based practice guidelines, National Patient Safety Goals, and research-based design characteristics. You can record your reflections at the end of each simulation to enhance self-awareness and develop insights into the patient care delivery process. Get from Amazon. Clinical Simulations for Nursing Education: Learner Volume helps your students develop the critical assessment, clinical reasoning, and nursing care skills they need to deliver and practice safe and effective patient care. 51 structured simulation scenarios, designed to be used in conjunction with the Instructor Volume, let them apply the nursing process in a controlled, risk-free environment. Each realistic, patient-care simulation focuses on a defined clinical domain, critical knowledge and skills, levels of competency, evidenced-based practice guidelines, National Patient Safety Goals, and research-based design characteristics. Students can record their reflections at the end of each simulation to enhance self-awareness and develop insights into the patient care delivery process. Get from Amazon. Clinical Simulations for Nursing Education: Facilitator Volume provides 51 structured case studies simulate the wide range of patient care challenges your students will encounter in practice. These scenarios help them develop the critical assessment, clinical reasoning, and nursing skills they need to deliver safe and competent care—in a controlled, risk-free environment. Each realistic, patient-care simulation focuses on a defined clinical domain, critical knowledge and skills, levels of competency, evidenced-based practice guidelines, National Patient Safety Goals, and research-based design characteristics. They record their reflections at the end of each simulation to enhance self-awareness and develop insights into the patient care delivery process. The Facilitator Volume provides all of the information found in the Participant Volume, the answers to the student exercises and two additional testing simulations, as well as everything you need to set up, administer and facilitate each simulation. Get from Amazon. Simulation Learning System for Nursing Fundamentals (Access Card) integrates simulation technology into your fundamentals nursing course with realistic patient care scenarios and supportive learning resources that correspond to your nursing fundamentals text. The SLS offers: targeted reading assignments and critical thinking exercises to prepare you for the simulation experience; access to patient data with an SBAR shift report and fully-functional electronic health record (EHR); post-simulation exercises like charting and concept mapping; and review resources such as animations and text references. Using SLS helps bridge the gap between lecture and clinicals to prepare you for the real world of nursing. Get from Amazon. 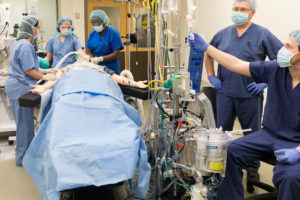 Healthcare Simulation: A Guide for Operations Specialists provides a much needed resource for developing the roles and responsibilities of simulation operations specialists. The book illustrates the current state and evolution of the simulation professional workforce and discusses the topics necessary for the development of these pivotal roles. The book promotes the value of simulation-based education in healthcare and its associated outcomes while clarifying the operational requirements of successful simulations. Featuring numerous contributions from international experts, consultants, and specialists, Healthcare Simulation: A Guide for Operations Specialists presents advances in healthcare simulation techniques. Get on Amazon. Medical Moulage: How to Make Your Simulations Come Alive is a large, beautiful, hardbound book with over 300 special effects recipes and scenarios for field and clinical simulations. Simple recipes designed for the beginner through advanced user including 1,200 vibrant, full-color illustrations, step-by-step directions, ingredient customization, pre-make, storage and "Set the Stage," a quick guide to staging realistic training in both field and clinical environments. This comprehensive moulage manual includes staged wounds, cyanosis, mottling, blisters that rupture, sutured wounds, odors and just about everything in-between. Heighten the realism in your training simulations with this easy to use moulage training manual. Get on Amazon. Comprehensive Healthcare Simulation: Pediatrics is a practical guide to the use of simulation in pediatric training and evaluation, including all subspecialty areas. It covers scenario building, debriefing and feedback, and it discusses the use of simulation for different purposes: education, crisis resource management and interdisciplinary team training, competency assessment, patient safety and systems integration. Readers are introduced to the different simulation modalities and technologies and guided on the use of simulation with a variety of learners, including medical students, residents, practicing pediatricians, and health-related professionals. Separate chapters on each pediatric subspecialty provide practical advice and strategies to allow readers to integrate simulation into existing curriculum. Get on Amazon. Textbook of Simulation: Skills and Team Training shares how surgical training simulators have come a long way in the last decade and also provides an excellent review of current technology and its application to curricula in the skills lab. There is also a comprehensive section on use of simulators in specialty training applications such as colorectal, pediatrics, trauma, and more. The Textbook of Simulation: Skills and Team Training book was created out of a need gap identified by the Association for Surgical Education Committee on Simulation, for a resource that provided information on the types of simulation technology available, the role of simulators in surgical education, and establishing skills training centers. The book also provides background on the ACS/ APDS Surgical Skills Curriculum for Residents. Get on Amazon. Comprehensive Healthcare Simulation: Neurosurgery is a practical guide for the use of simulation in neurosurgery, with chapters covering high fidelity simulation, animal models simulation, cadaveric simulation, and virtual reality simulation. Readers are introduced to the different simulation modalities and technologies and are guided on the use of simulation for a variety of learners, including medical students, residents, practicing pediatricians, and health-related professionals. Comprehensive Healthcare Simulation: Neurosurgery is written and edited by leaders in the field and includes dozens of high-quality color surgical illustrations and photographs as well as videos. Get on Amazon. Reality Based Training, often described as high fidelity, scenario-based training, has become the standard for preparing police officers to perform when it is a matter of life or death. Until recently, law enforcement instructors delivered this style of training guided purely on intuition, feedback and what little academic resources were available. A Scientific Approach to Reality Based Training provides law enforcement with a scientific foundation on how to use Reality Based Training to maximize officer performance under stress. The Assess-Diagnose-Prescribe-Train (ADAPT) Model is introduced to achieve a balance between the training and testing aspects of Reality Based Training scenarios. 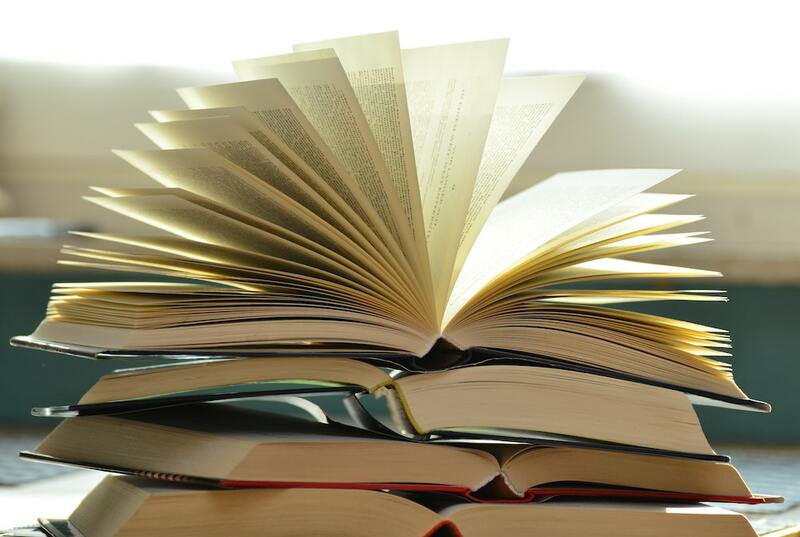 Readers are provided the ADAPT Model Scenario Builder software free of charge from the publisher. Get from Amazon. Teaching Health Care in Virtual Space: Best Practices for Educators in Multi-User Virtual Environments is the first “how-to” manual for health educators on the instructional use of three-dimensional, computer-generated virtual environments that can be inhabited simultaneously by many participants; commonly called “multi-user virtual learning environments” or MUVE. Based on her experience supervising more than 400 learning activities in Second Life, Dr. Estelle Codier has written a step-by-step handbook for novice and experienced MUVE teachers alike. The book provides those new to virtual teaching with specific steps to assess their own instructional readiness, guidance for assessing student and class readiness, as well as detailed descriptions of problem prevention and solutions. The text is accompanied by lively case studies of both success and failure in virtual learning environments. Inspiring stories of student learning illustrate the power of MUVE to transform health care education. Get on Amazon. Game-Based Teaching and Simulation in Nursing and Health Care provides practical strategies for developing, integrating, and evaluating new and emerging technology, specifically game-based learning methods, useful in nursing and clinical health sciences education. The text draws upon existing models of experiential learning such as Benner's "thinking-in-action" and "novice-to-expert" frameworks, and introduces current theories supporting the phenomenon of the created learning environment. Chapters explain how simulation and game-based learning strategies can be designed, implemented, and evaluated to improve clinical educational thinking and outcomes and increase exposure to critical experiences to inform clinicians during the journey from novice to expert. The text also describes how game-based learning methods can support the development of complex decision-making and critical thinking skills. Case studies throughout demonstrate the practical application of harnessing technology as a teaching/learning device. Get on Amazon. Teaching Technologies in Nursing & the Health Professions: Beyond Simulation and Online Courses presents a broad range of cutting-edge teaching technologies and a detailed overview of teaching and learning pedagogical concepts that are relevant across a variety of teaching environments. Helpful to both new and seasoned educators, these "must-know" strategies allow faculty to keep pace with the rapidly changing digital world. The book helps to guide faculty in making thoughtful, informed decisions on how and where to integrate technology into learning environments. A major feature of this book is the Integrated Learning Triangle for Teaching with Technologies, a faculty tool to help determine if and how specific technologies can promote student learning. Other important chapter pedagogy includes best teaching practices, teaching and learning self-assessment tools, useful tips for faculty such as "making teaching easier," and reflective questions and activities for the reader. Get on Amazon. Dawn of the New Everything: A Journey Through Virtual Reality tells the extraordinary story of how in just over three decades Virtual Reality went from being a dream to a reality - and how its power to turn dreams into realities will transform us and our world.Here, in what is likely to be one of the most unusual books you ever read, he blends scientific investigation, philosophical thought experiment and his memoir of a life lived at the centre of digital innovation to explain what VR really is: the science of comprehensive illusion; the extension of the intimate magic of earliest childhood into adulthood; a hint of what life would be like without any limits. As Lanier shows, we are standing on the threshold of an entirely new realm of human creativity, expression, communication and experience. While we can use VR to test our relationship with reality, it will test us in return, for how we choose to use it will reveal who we truly are. Get on Amazon. To Err is Human Documentary Film: A Must Watch Film! The #3 leading cause of death in the United States is its own healthcare system. Medical mistakes lead to as many as 440,000 preventable deaths every year and harm millions more. Directed by the son of late patient safety pioneer, Dr. John M. Eisenberg, To Err Is Humanis an in-depth documentary about this silent epidemic and those working behind the scenes to create a new age of patient safety. Through interviews with leaders in health care, footage of real-world efforts leading to safer care, and one family's compelling journey from tragedy to empowerment, the film provides a unique and hopeful look at our health care system's ongoing fight against preventable harm. Get on Amazon. To Err Is Human: Building a Safer Health System breaks the silence that has surrounded medical errors and their consequence--but not by pointing fingers at caring health care professionals who make honest mistakes. After all, to err is human. Instead, this book sets forth a national agenda--with state and local implications--for reducing medical errors and improving patient safety through the design of a safer health system. This volume reveals the often startling statistics of medical error and the disparity between the incidence of error and public perception of it, given many patients' expectations that the medical profession always performs perfectly. A careful examination is made of how the surrounding forces of legislation, regulation, and market activity influence the quality of care provided by health care organizations and then looks at their handling of medical mistakes. Using a detailed case study, the book reviews the current understanding of why these mistakes happen. A key theme is that legitimate liability concerns discourage repo Get on Amazon. Building a Culture of Patient Safety Through Simulation: An Interprofessional Learning Model reflects the accomplishments of an internationally recognized leader of innovation regarding interprofessional clinical learning through simulation. Based on the North Shore-LIJ Health System corporate university experience, the book describes how this organization used simulation to successfully tackle the major interprofessional health issue of our time: patient safety. 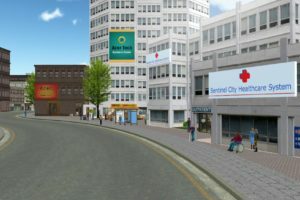 This health system created a transformative simulation center that involves nurses, doctors, and related health professionals whose work in clinical teams has resulted in measurable improvements in all aspects of clinical decision-making, critical thinking, teamwork, and communication skills toward the ultimate goal of improved patient safety. Get on Amazon. Beyond the Checklist: What Else Health Care Can Learn from Aviation Teamwork and Safety argues that lives could be saved and patient care enhanced by adapting the relevant lessons of aviation safety and teamwork. In response to a series of human-error caused crashes, the airline industry developed the system of job training and information sharing known as Crew Resource Management (CRM). Under the new industry-wide system of CRM, pilots, flight attendants, and ground crews now communicate and cooperate in ways that have greatly reduced the hazards of commercial air travel. The coauthors of this book sought out the aviation professionals who made this transformation possible. Beyond the Checklist gives us an inside look at CRM training and shows how airline staff interaction that once suffered from the same dysfunction that too often undermines real teamwork in health care today has dramatically improved. Drawing on the experience of doctors, nurses, medical educators, and administrators, this book demonstrates how CRM can be adapted, more widely and effectively, to health care delivery. Get on Amazon. 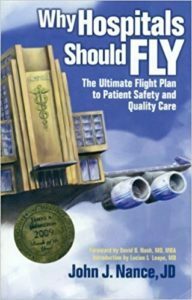 Why Hospitals Should Fly: The Ultimate Flight Plan to Patient Safety and Quality Care is a one-of-a-kind, eye-opening narrative chronicling the incredible transformational journey of St. Michael’s Memorial Hospital. John Nance created this hospital to give healthcare the benefit of an experimental "laboratory" where vision, ideas, dialogue, and action connect synergistically to illustrate what healthcare could, and ultimately must, do in order to realize the ultimate in patient safety and quality care. Even though the characters and the hospital John Nance created are fictitious, the problems they face and the solutions they develop and adopt are all too real. It will only take one visit to Nance’s St. Michael’s to leave everyone in healthcare with an understanding of why no one has ever put all the pieces of the safety and quality puzzle together before. Get on Amazon. The Checklist Manifesto: How to Get Things Right is a bestseller from Atul Gawande, who shows what the simple idea of the checklist reveals about the complexity of our lives and how we can deal with it. The modern world has given us stupendous know-how. Yet avoidable failures continue to plague us in health care, government, the law, the financial industry—in almost every realm of organized activity. And the reason is simple: the volume and complexity of knowledge today has exceeded our ability as individuals to properly deliver it to people—consistently, correctly, safely. We train longer, specialize more, use ever-advancing technologies, and still we fail. In riveting stories, he reveals what checklists can do, what they can’t, and how they could bring about striking improvements in medicine. The insights are making a difference. Already, a simple surgical checklist from the World Health Organization designed by following the ideas described here has been adopted in more than twenty countries as a standard for care and has been heralded as “the biggest clinical invention in thirty years”. Get on Amazon. Black Box Thinking: Why Most People Never Learn from Their Mistakes--But Some Do shows in this eye-opening book, the answer to Medical Error is rooted in human psychology and organizational culture. Syed argues that the most important determinant of success in any field is an acknowledgment of failure and a willingness to engage with it. Yet most of us are stuck in a relationship with failure that impedes progress, halts innovation, and damages our careers and personal lives. We rarely acknowledge or learn from failure—even though we often claim the opposite. We think we have 20/20 hindsight, but our vision is usually fuzzy. Syed draws on a wide range of sources—from anthropology and psychology to history and complexity theory—to explore the subtle but predictable patterns of human error and our defensive responses to error. He also shares fascinating stories of individuals and organizations that have successfully embraced a black box approach to improvement, such as David Beckham, the Mercedes F1 team, and Dropbox. Get on Amazon. Review Manual for the Certified Healthcare Simulation Educator (CHSE) Exam is the first practice manual to assist healthcare simulation educators in the United States and internationally in preparing for certification in this rapidly emerging field. The authors, noted experts in simulation and education, have carefully analyzed the CHSE blueprint to ascertain what material is most likely to be covered.  They present this information in a user-friendly, pithy outline format. This review manual provides numerous features that help students to critically analyze test content, including end-of-chapter review questions, test-taking strategies, and a comprehensive practice test with answers and rationales. It features current evidence-based teaching practices and incorporates case studies to connect simulation situations to simulation education with healthcare students and includes information about advanced certification and recertification. Get on Amazon. SimWars Simulation Case Book: Emergency Medicine enables novice simulation operators to quickly and effectively run simulation cases, which have been established at national SimWars events, for their respective programs and departments. Developed by leading emergency medicine simulation experts, this definitive collection of 46 cases includes topics intended to supplement UME and GME training, meet ACGME core competency requirements, and challenge the expert emergency physician in critical decision making, procedural skills, ethical issues, teamwork and communication skills. The use of simulation to gain and maintain skills in healthcare has become critical to the delivery of the curricula in medical schools, nursing schools, residency programs, and hospital-based practice. Get on Amazon. 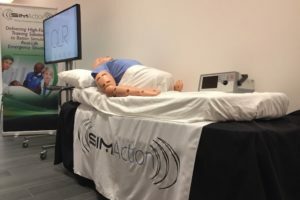 Simulation in Healthcare Education: An Extensive History gives a narrative history of the development of simulators from the early 1700s to the middle of the 20th century when simulation in healthcare appeared to all but die out. It is organized around the development of simulation in different countries and includes at the end a guide to simulators in museums and private collections throughout the world. 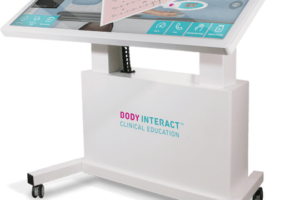 The aim is to increase understanding of simulation in the professional education of healthcare providers by exploring the historical context of simulators that were developed in the past, what they looked like, how they were used, and examples of simulator use that led to significant harm and an erosion of standards. The book is addressed to the healthcare simulation community and historians of medicine. The latter in particular will appreciate the identification and use of historic sources written in Latin, German, Italian, French, Polish and Spanish as well as English. Get on Amazon.